Sunday 13 April I held a session for OMEDA on “Finding your authentic self in dance”. Before moving into dance as a career, I completed a Graduate Diploma in Applied Psychology, worked as a crisis counsellor at Lifeline and was a change management consultant for five years, first at a boutique consulting company, then Deloitte Consulting. My undergraduate degree was a Bachelor of Arts, majoring in Psychology with subjects in Cultural Studies, French, English Literature and Anthropology. My approach to the question of authenticity in dance has a basis in psychology, philosophy and cultural studies. I’m enjoying the opportunity to come full circle and return to my psychology training and possible applications to the performing arts. The conversation on Sunday was informal but hinged around Mihaly Csikszentmihalyi‘s Flow model. I chose to centre the discussion around the Flow model and the Hefferon and Ollis study, as I consider this feeling of flow to be a state where the dancer finds freedom to be truly themselves, and further, to be their very best selves. Many of the conditions in both Csikszentmihalyi’s model and the Hefferon and Ollis study, resonated with the dancers at the OMEDA session, but belly dance presents its own unique concerns. In particular we were interested in 1. how relationships with others affects a performance and 2. how to balance existential authenticity, or being authentic to oneself versus cultural authenticity. For many of the professional dancers in Hefferon and Ollis’ study, their performances take place in theatre settings where the audience is somewhat removed from the stage. 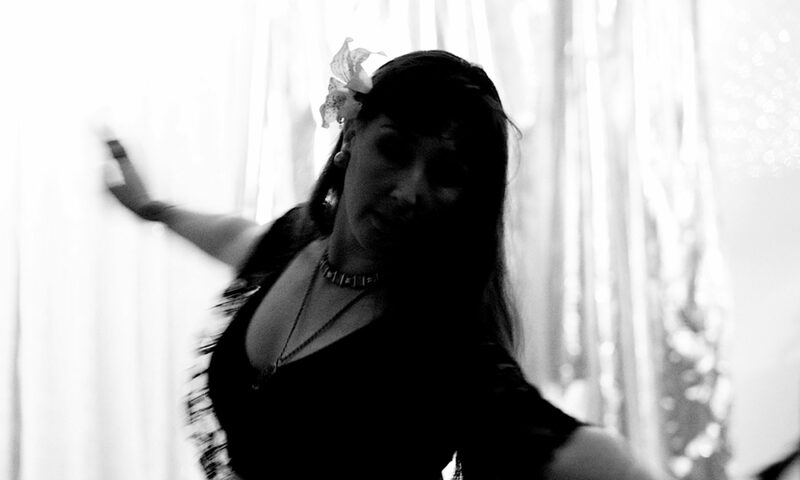 The belly dancer often shares their performance space with their audience, and as such any joy or discomfort or just plain confusion from audience members as a result of the performance is often right there for the performer to see. Audience response becomes “clear and immediate feedback”, one of the nine conditions of Csikszentmihalyi’s model. This directly contradicts one of the most important conditions of flow and one that was echoed in Hefferon and Ollis’ study – the autotelic experience – dancing only for the sake of dancing – unfettered by the need for approval or material reward. Autotelic comes from the Greek, “auto” – self, “telos” – goal. It is an activity that has no purpose outside of the activity itself. Many of the dancers interviewed in Hefferon and Ollis’ study said that they danced for pure enjoyment and the autotelic experience. How then do we marry the autotelic experience with the proximity of our audience and the impact that their reaction has on our performance? One of the participants in the OMEDA session was unconcerned by the audience. Her enjoyment was derived from feeling as one with the character she was embodying and mastering her choreography or feeling completely in tune with the music in the case of an improvisation. Other participants were affected by the audience, feeling disappointed if there were not many people watching, or feeling elated when the audience responded enthusiastically. Many of the participants were ATS dancers who felt their performance benefited from the support of the troupe behind them. One participant said she was naturally inclined to fusion style performances and among her reasons was that in this way she was first satisfying her own creative needs and needn’t worry that the performance was not right for an audience of a particular cultural background. Which brings us to another concern peculiar to the belly dancer. I’m sure many of you read this controversial blog post regarding cultural appropriation by belly dancers of non Arabic background. It generated a lot of discussion – some useless mud slinging and some interesting debate regarding a valid concern of the misrepresentation of another culture’s traditions. I think the word representation is very important in this discussion. Many of the participants in the OMEDA session were drawn to fusion styles so that they were not attempting to represent another culture’s tradition but rather a new tradition that drew on a range of influences. In this way they were able to feel both authentic in themselves while connecting with a history of movement and costuming. One participant suggested that we were accessing something sacred, beyond culture and tradition and into the realm of goddesses. For other belly dancers, fusion is by its nature considered inauthentic. Many of these belly dancers are not of Arabic descent. How then do they reconcile not being of the culture they represent and yet placing so much import on accurately representing a tradition? Many manage this by the imposition of rules about costuming and movement. YouTube is an interesting archive for showing how our conformity to the rules of costuming and movement have made us all cookie cutter versions of Reda shows. I love Reda’s interpretation of regional Egyptian dances. His research was thorough and his artistry and technical prowess unquestionable. But in cultural studies parlance, the cannonisation of Reda is arbitrary, even if you do consider it to be deserved. By that I mean, his particular take on these traditional dances is not the only take on it. In fact, if this Bhuz conversation is to be believed (read the third comment down) a prominent dancer has been critical of representations of Redaesque Nubian dance in the same way that Randa Jarrar can’t stand white belly dancers. The same commentator has posted some alternative representations of Nubian dances – primary evidence, if you like, as it is actual Nubian dancers – and it’s true that although it looks like us imitators have got the costuming more or less right, there is not the same uniformity or rigidity as when non Nubians have recreated Nubian dance. There is something inauthentic about taking a culture’s dance, studying it to extract a number of rules, then carefully recreating it according to those rules. However, there is also inauthenticity in “studying” a cultural dance for a couple of weeks then going out and performing it and claiming to represent that tradition. But many of us do it, as it is part of our job. How then do we bridge the gap between existential authenticity – an authenticity to our true selves – and a cultural authenticity? When Nerissa visited Melbourne last year to teach Turkish Roman Havasi someone asked her how she came to dance the style so authentically when she is not of Turkish background. She said that she immersed herself in Turkish music and culture until she felt the movements and styling come naturally to her. It is a kind of method acting approach that is also consistent with the importance many of the OMEDA participants and the dancers in the Hefferon and Ollis study placed on make-up and costuming in allowing the dancer to become someone else in the performance. One participant called it an alter-ego, an identity that was truly themselves, but not one that was “let out in everyday life” other than as a performer. Maybe beyond the rules of tradition and culture and the hindrances of ego and self-consciousness our authentic selves are something akin to the divine? For further reading, follow the links in this post.